Every now and then...something lands on my desk that I just cannot ignore. 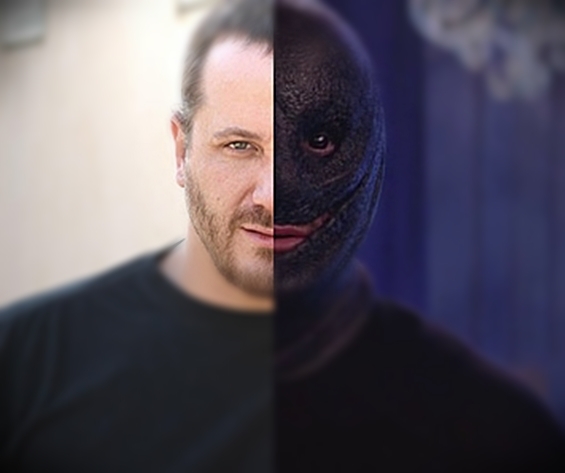 Film Deviant is a pretty small entity compared to all the HUGE horror outlets out there doing their thing. But, you'd be surprised as to how many requests that we get to run an article to help promote someone's new project...or fund a film. It's pretty crazy. I do my best to help some of those I find worthy...but, Jesus, there's some pretty freaky stuff in people's heads these days. Anyway...I'm telling you all this because today I came across....KILLER CHIPMUNKS! 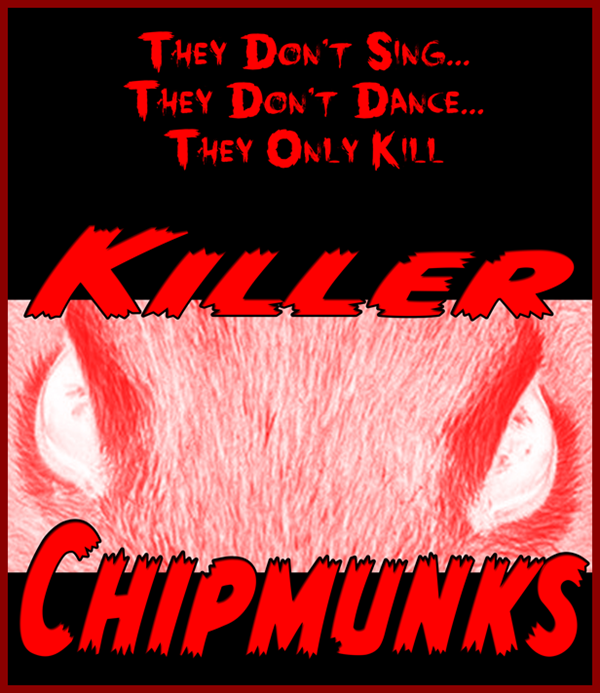 Seriously, folks...Killer Chipmunks. Not too many things in this life are better than that. Jared Whitton is a passionate horror film fan and he's been devoted to the genre all of this life. And now he wants to turn his deviant vision into a reality. But, he needs your help, guys! If there's two things that this life has taught me...it's never turn down free beer...and NEVER keep true horror fans from realizing his or her dreams. Jared is a real horror fan with real horror sensibilities...and he needs your help. When lifelong best friends Corey and Kevin arrived at Camp Crystal Elm, they knew that they were in for the best summer of their lives. It was a horror fan’s dream come true. A LARP (Live Action Role-playing) horror adventure that would see them transported back to a 1980s themed summer camp. Each night, they would have to face a new threat: sea creature, werewolf, zombies, hockey masked killer (no trademark infringement there). Add in the scantily clad women and the horror movie “rules” just waiting to be broken, there was no way this summer could be anything but unforgettable. Amidst all of this fantasy horror action, a real terror is lurking in the woods, picking off the campers one by one. But in this world of monsters and mayhem, a missing camper is as normal as the sun rising every morning. While they may not notice at first, when that terror finally emerges from the woods and onto the grounds of the camp, all hell breaks loose in a scene of carnage you’ll have to see to believe. Can Corey and Kevin survive against a horde of killer chipmunks? Can they save their friends? Will anyone even believe them? The film not only has fun playing with some of the age-old horror clichés that are part of the 1980s era summer camp, but it also takes every opportunity to turn those clichés on their head and blur the lines between film and reality as well as between the fantasy of the horror camp and the reality of the movie’s monsters. One thing is for sure: this movie is like nothing you have ever seen before. It is the perfect vehicle for people who love horror films, for people who love laughing at the stupid things people do in horror films, and for people who want to see someone do a horror spoof that is actually smart, actually funny, and actually scary. This film finds a way to accomplish all three, which equals nothing less than a very entertaining ride. 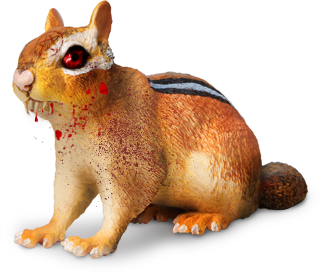 If you've been following us for awhile then you'll understand how much we love things like Killer Chipmunks. It's a film that just has to be made. Thankskilling is a favorite around these parts...and if Killer Chipmunks is anything like that film...Jesus Christ, are we in for some good times! It has all the makings of unique horror filmmaking done by smart individuals who understand the genre!